BETTA FLASH are TAMAYO (Tamayo Kawamoto) and Cyua. "Erinyes" serves as the ending theme for 'Night Wizard: The Animation' and "6th body" as the opening theme for the PS2 version of the game 'Night Wizard'. 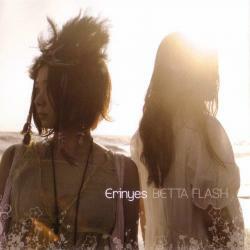 This is BETTA FLASH's debut single.